Kaizad Bhamgara takes a closer look at some of the popular Zoroastrian settlements in the city and discovers that they are a lot more than just places to live for this closely-knit community. With names like Rustam, Malcolm, Godrej and Wadia, it’s easy to mistake a Parsi baug for an individual. You wouldn’t be far from the truth though, as over the years these housing colonies have developed a personality of their own. 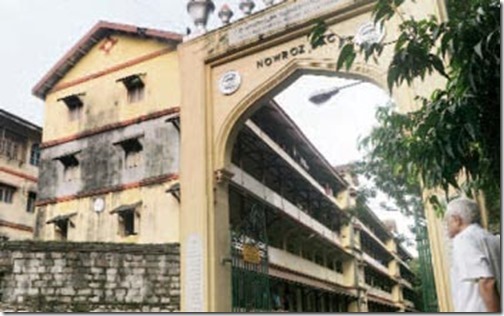 Safe havens, secluded and peaceful, they remain beyond the vision of most Mumbaikars. They were created with the purpose of providing affordable accommodation to its community members and also nurture the Zoroastrian culture and traditions. Most of them are located in Mumbai’s prime real estate zones but rent remains extremely affordable averaging between Rs 40 to Rs 500! The widow’s chawl at Navroze baug is priced at approximately Re 1 a month, while flats in south Mumbai baugs go up to Rs 3,000 a month. Be ready to be greeted with greenery and empty lanes on entering a baug in the mornings or afternoons. However, in the evening the lanes are often crowded with septuagenarians, walking hand in hand, women in their mid 40s counting rounds around the playground with music blaring through their headphones, husbands in reluctant tow, and children screaming and playing as it would be in any other building compound. The buildings here are generally two to four stories high, with lots of greenery throughout the property. They also have a fire temple nearby. These baugs have often been called ‘mini cities’, as they are completely self-sufficient, have their own water and electrical mains, home delivery agreements with service providers, bill payment centres, gymnasiums, a doctor (or in the case of certain colonies, even a hospital) and even your own local milkman, paper delivery boy and more. 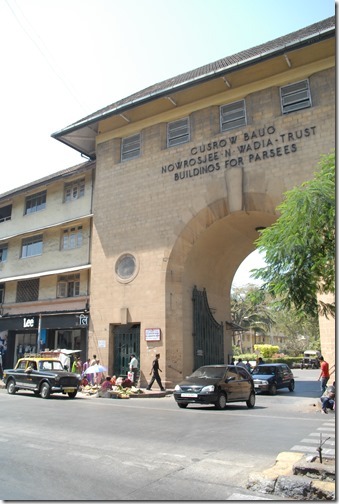 We give you a brief on three of Mumbai’s oldest Parsi baugs and what makes them so unique. This pocket of solitude built in 1934 covers a whopping 84,000 square yards and is home to over 600 families. All houses are on rental basis and cannot be sold. However, new buildings have been built where apartments can be bought. A football field, a gymnasium, three gardens, a fire temple, a grocery store and a clubhouse are all within the walls of the baug. There are many religious classes that teach youngsters about the community. It also claim to have more than its share of social do good-ers who have tirelessly served the city of Mumbai for over 22 years. There is also a full-fledged sports centre called Cusrow Baug United Sports & Welfare League. Their gymnasium is popular with youngsters and seniors not just from the baug, but also from all across the city. The only ‘baug’ that is not surrounded by walls, this green haven in central Mumbai is spread across parts of Dadar, Wadala and Matunga. It boasts of three schools, two swimming pools, and over 15 thousand Zoroastrians. The schools, shopping areas, over eight playgrounds and fields, four gymkhanas and clubhouses, two libraries, a fire temple and its extremely popular five gardens, make this a sought-after place for families. The gardens were created by Sir Mancherji Joshi and they serve as invaluable ‘lungs’ to the much congested Dadar-Wadala-Sion route.